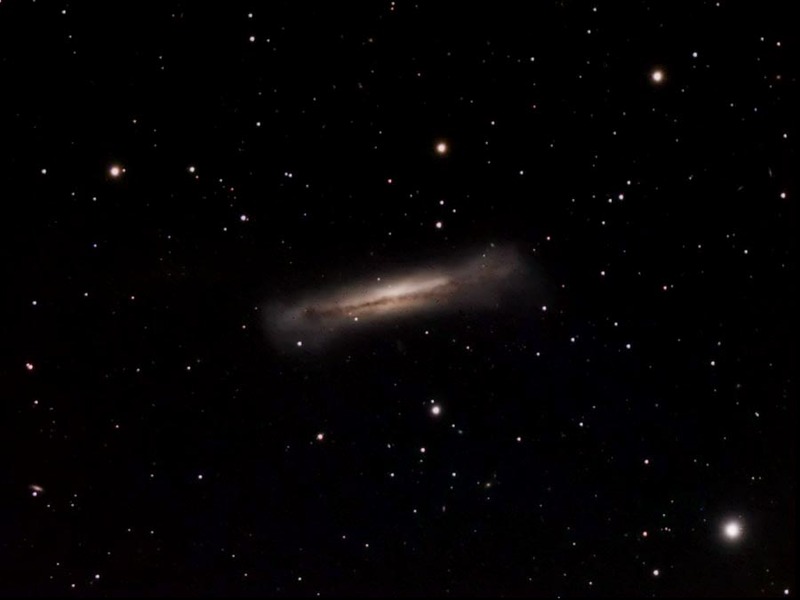 Other Edge on spiral galaxy in constellation Leo; mag. 9.17, size 11.0 x 3.4 arcmin. Faintest member of the Leo Trio (M65, M66, and NGC3628). Small spiral galaxy near star in the lower left corner of this image is 15.1 magnitude IC2745. The brigtest star is SAO 99552, mag. 7.13.NGC3628 - a.k.a. the Hamburger Galaxy.